It’s December and that makes right now officially Christmas! So let’s get started early on our Christmas baking with first preparing this traditional homemade Christmas Fruit Mince or homemade vegetarian mincemeat. Homemade Christmas Fruit Mince is the perfect ingredient for all Christmas baking and makes such a lovely gift even by itself. You can actually buy some very good mincemeat but when it is homemade it really is something else and once you make it yourself, you’ll never want to have store bought mincemeat anymore. 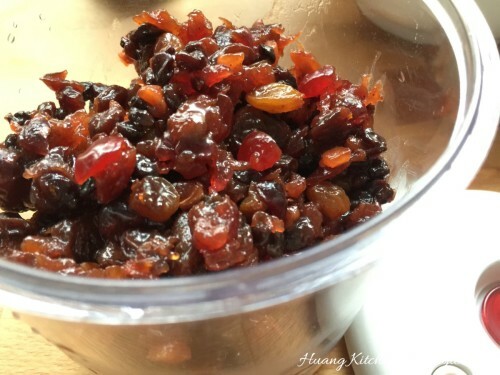 Homemade Christmas Fruit Mince is made using a variety of fresh, dried and candied fruits, simmered over low heat in a flavourful mixture of butter, fruit juice, brown sugar,rum, lemon and orange zest and ground spices. This allows all the fruits to absorb the liquid and become soft and juicy. For those who are avoiding liquor, you can substitute rum with pineapple juice flavoured with almond extract. Rum is used simply for flavour. 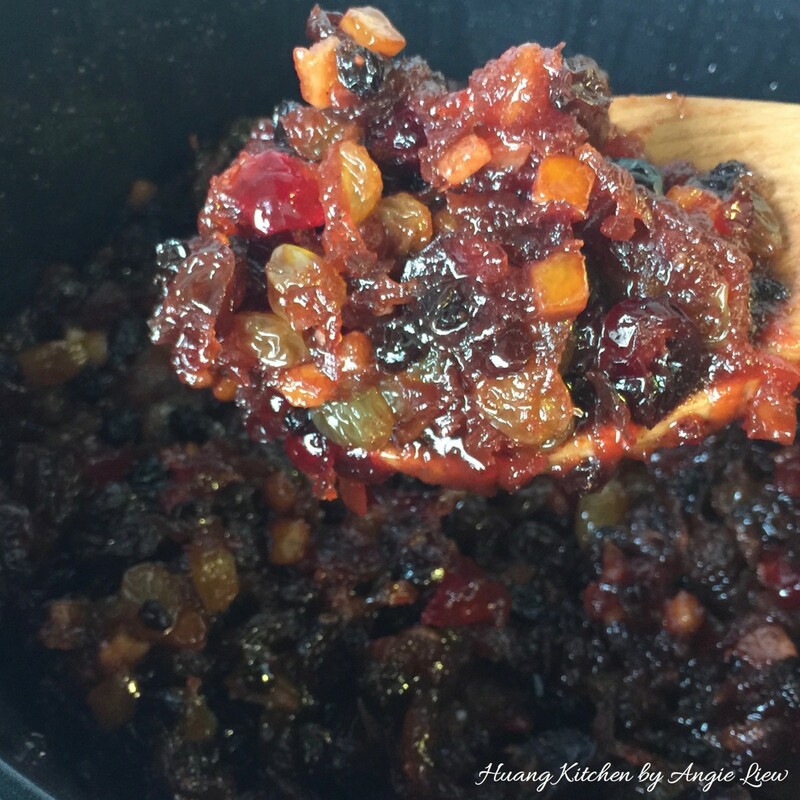 This homemade Christmas Fruit Mince is very ideal as it can be used the very next day after it’s made. So its perfect for last minute baking. 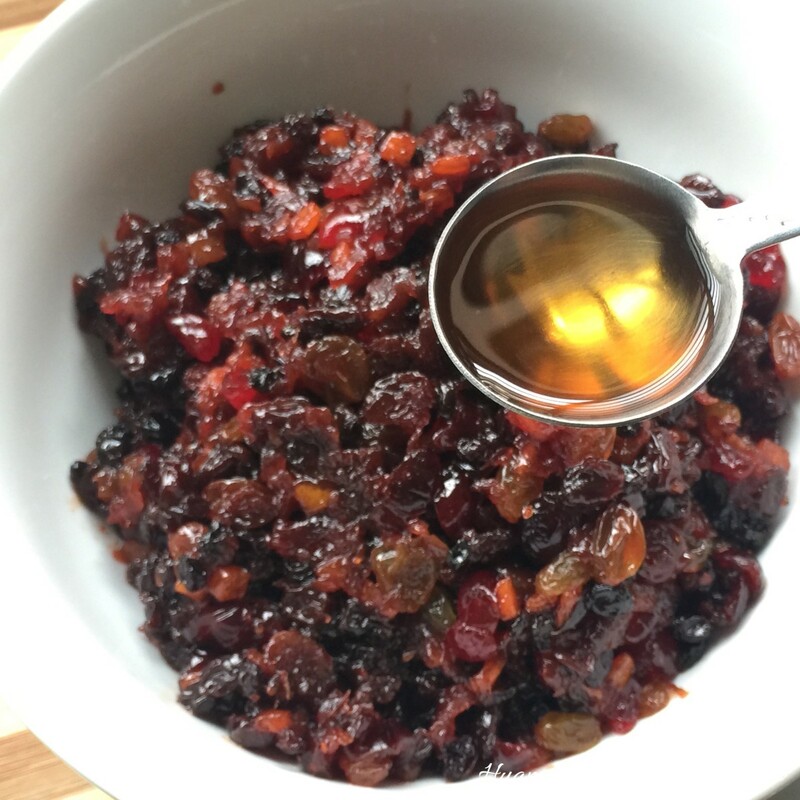 What’s so special about this version of fruit mincemeat is that the flavours of fruit mince remain the same, and can be realised using the vegetarian way (meatless means). 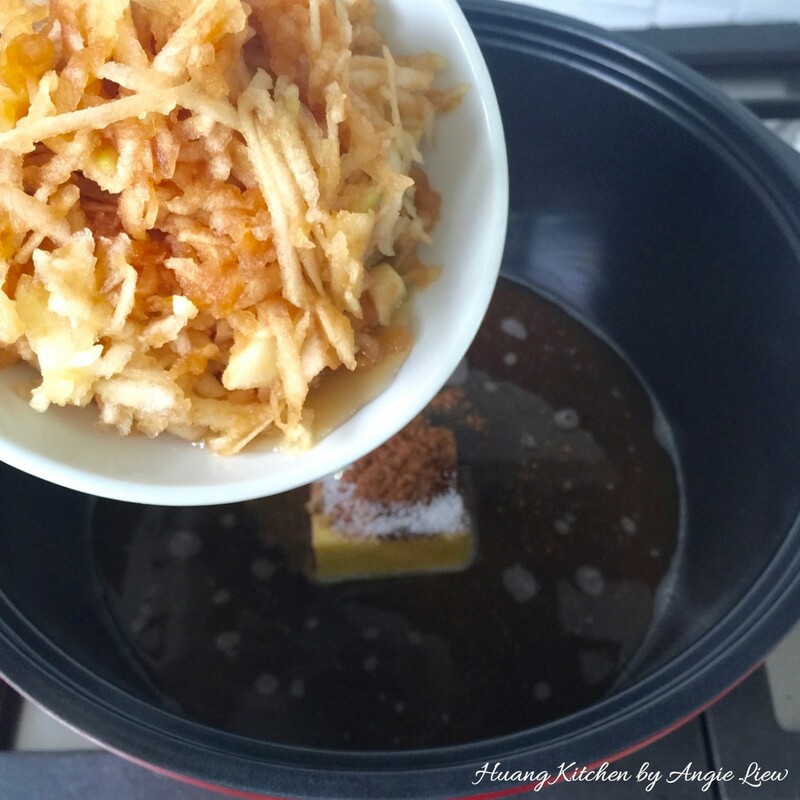 This version of fruit mince using butter is so rich in taste even non-vegetarians will also love it. This flavoured fruit mince only gets better the longer its kept and it can be refrigerated in an airtight container for up to a month. 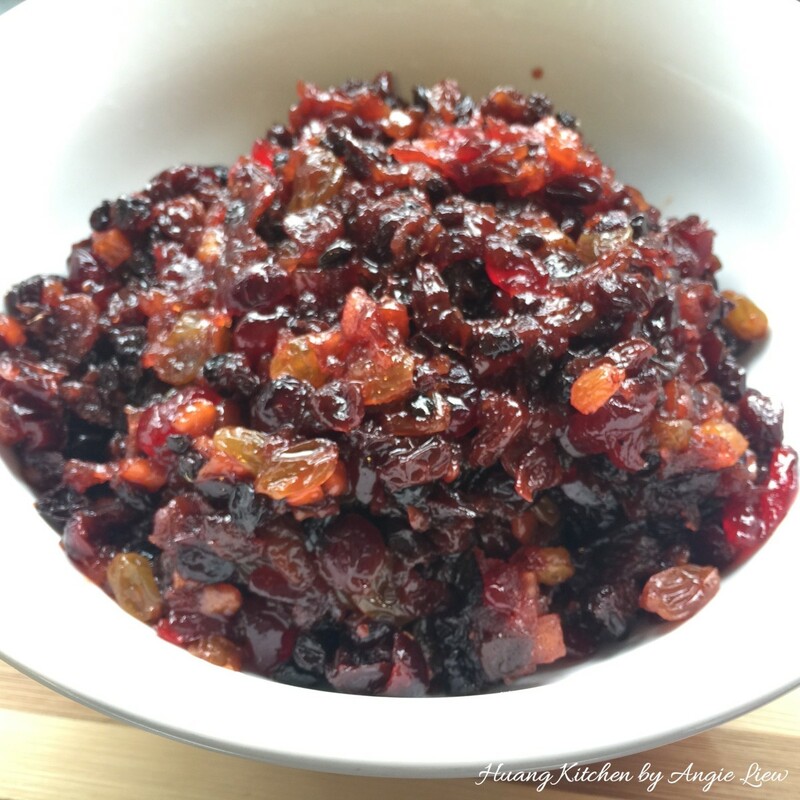 A staple of Christmas, this fruit mince makes the perfect addition to all our holiday baking. As always, ENJOY! 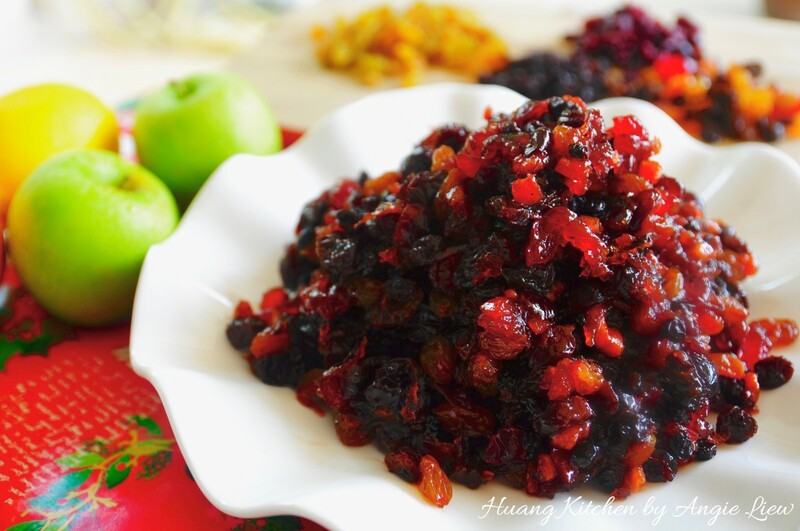 Homemade vegetarian mincemeat is made using a variety of fresh, dried and candied fruits, simmered over low heat in a flavourful mixture of butter, fruit juice, brown sugar,rum, lemon and orange zest and ground spices. Also, this mincemeat can be used the very next day after it's made, or refrigerated for later use. 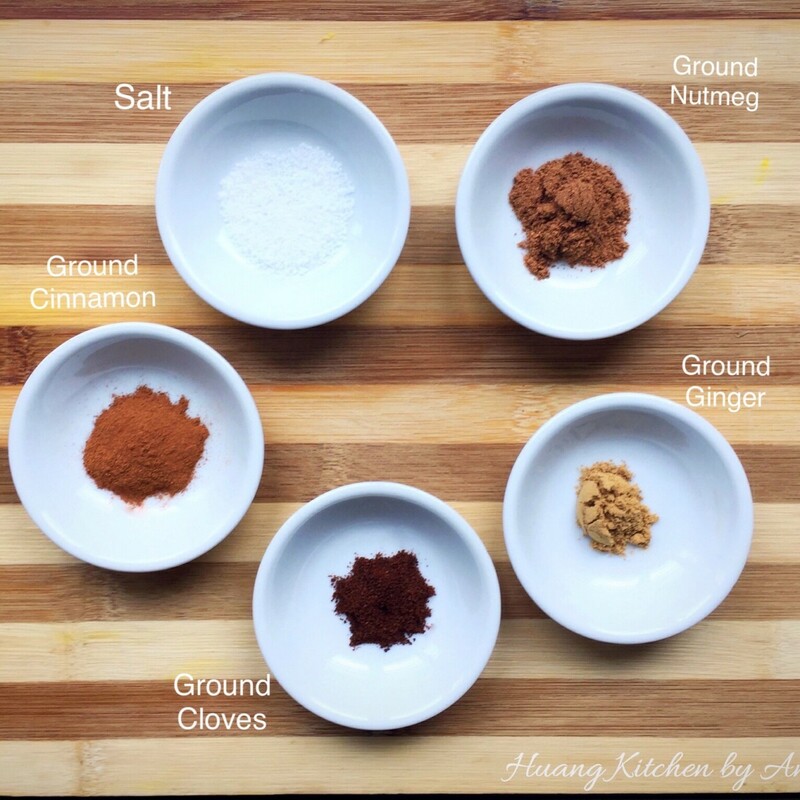 Perfect for last minute baking! 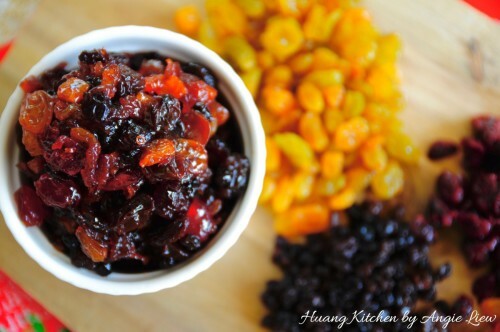 First, gather and measure all the dried and candied fruits needed to make mincemeat. Then, have ready all other ingredients needed. Also, measure all the seasonings required to cook the mincemeat. Peel and core 2 large apples. Granny Smith and Honeycrisp are some of the choices. 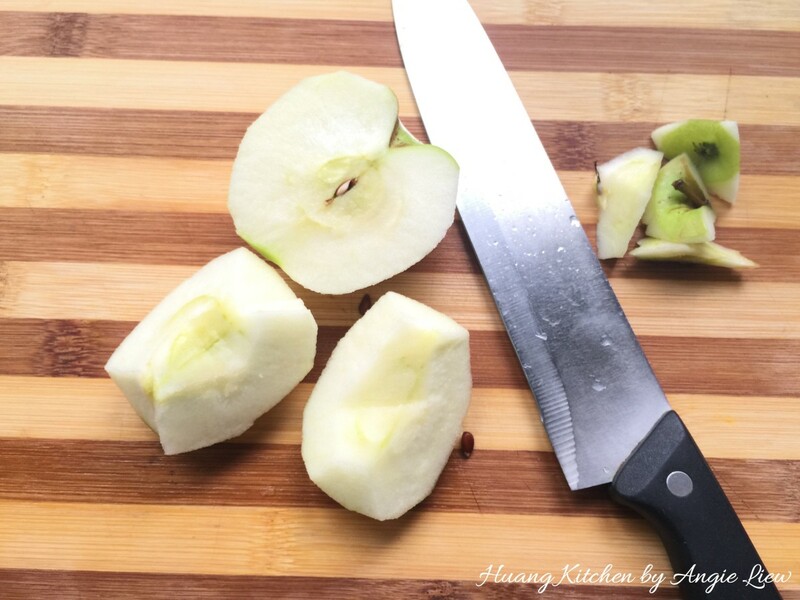 Using a box grater, grate the apples and set aside. 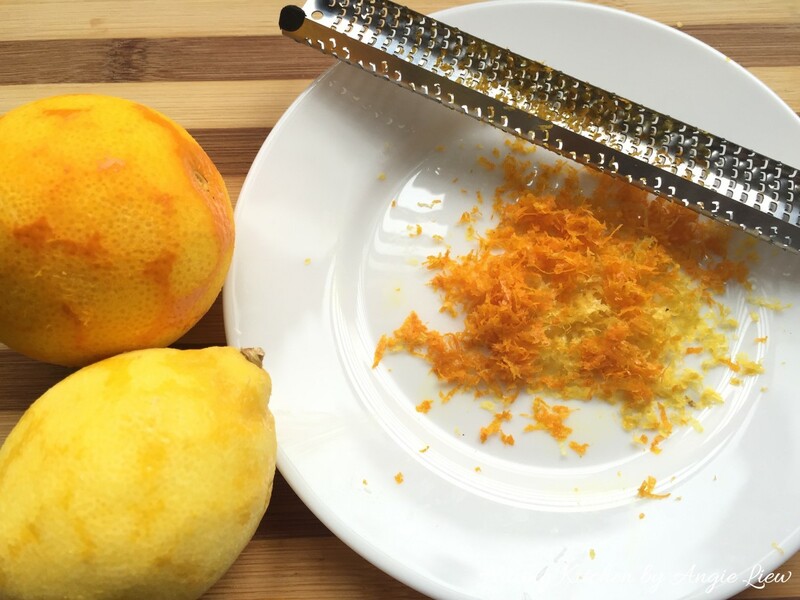 Using a microplane, zest one orange and lemon. Rub the fruits in one direction against the little blades, turning the fruits as you zest to ensure only the skin is removed. 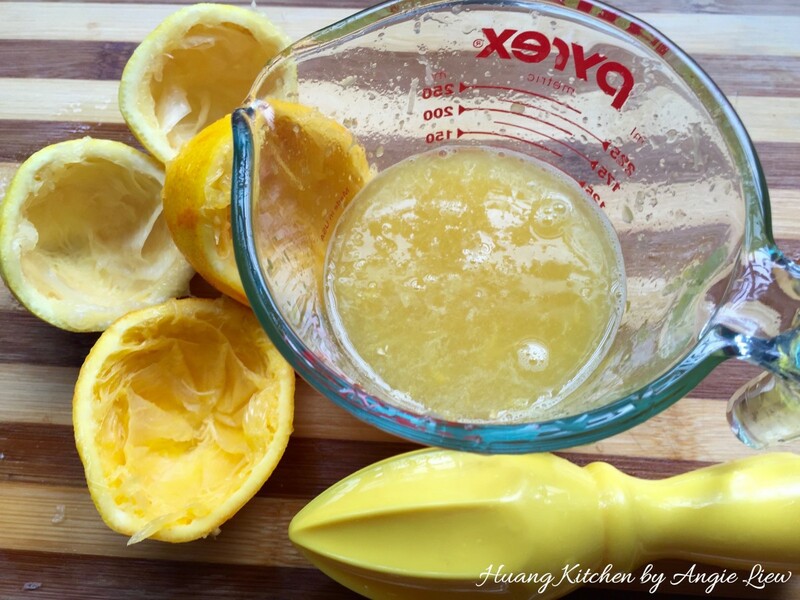 Then squeezed the orange and lemon juice from the zested fruits using a juicer and set aside. And we're ready to cook the mincemeat. 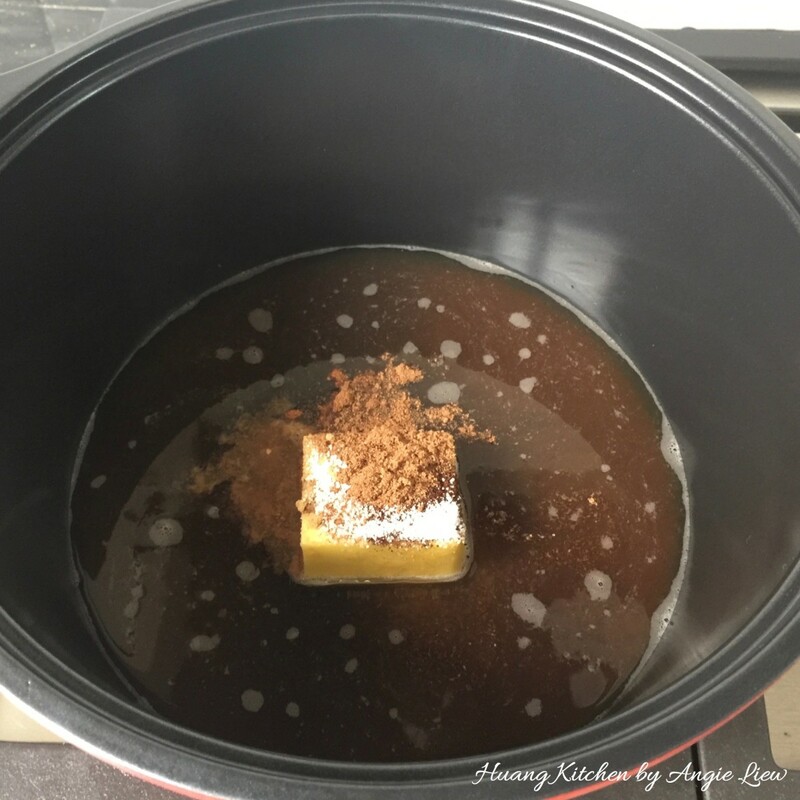 In a large covered pot, add in butter, brown sugar, unsweetened apple juice and seasonings. 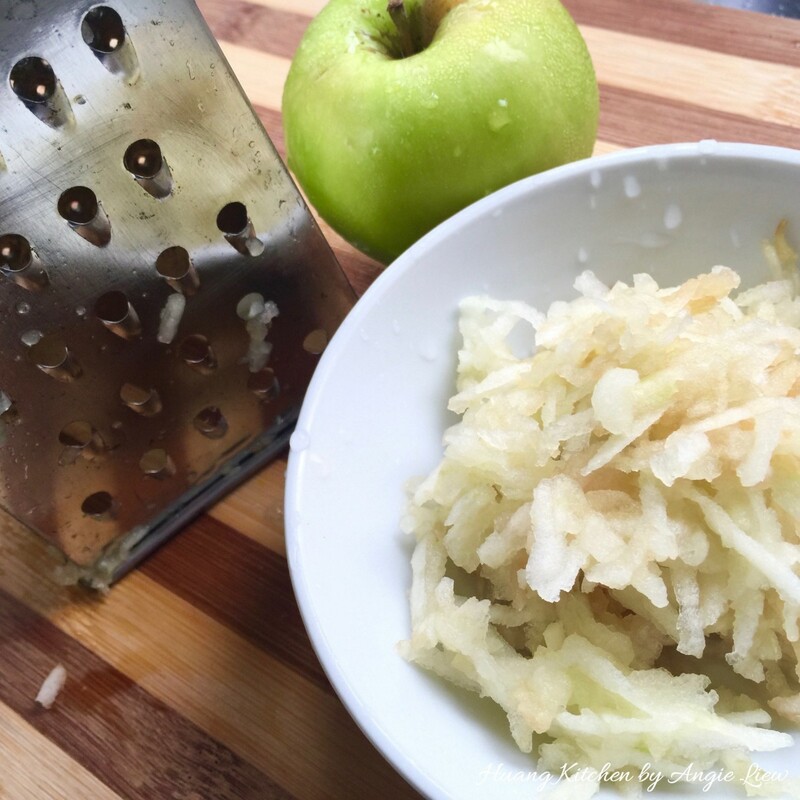 Then, add in the grated apples. 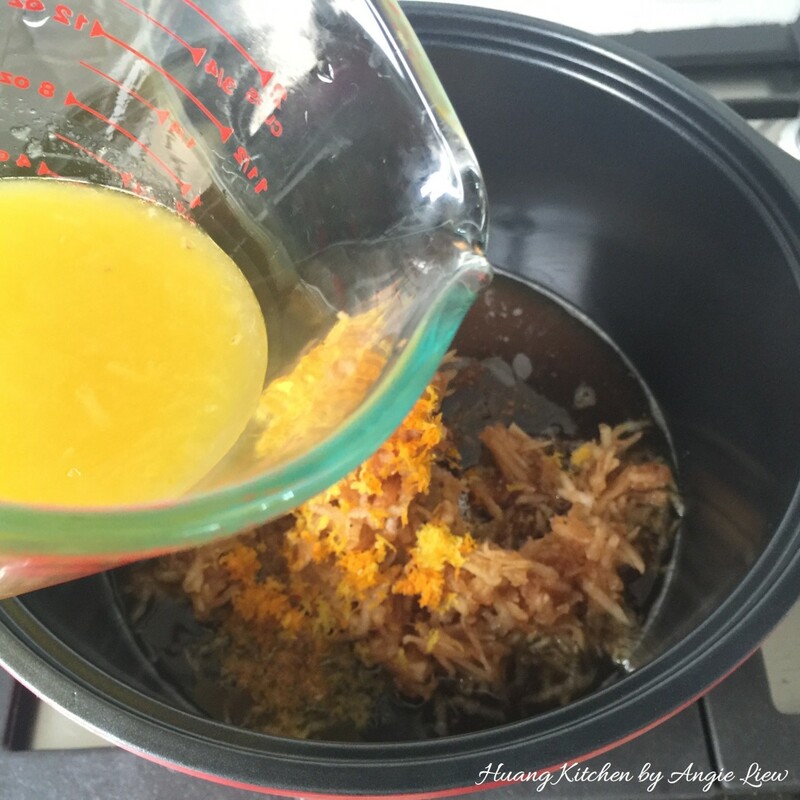 Followed by the orange and lemon zest and juices. 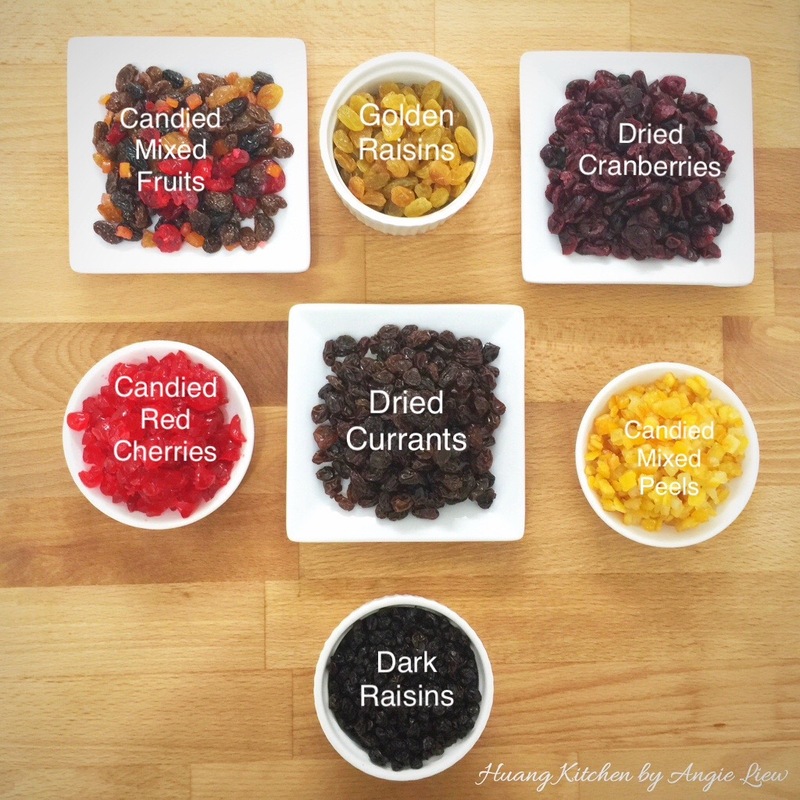 Next, add in all the dried and candied fruits. Lastly, add in the dark/light rum. For those not in favour of liquor, substitute with pineapple juice flavoured with almond extract instead. On medium high heat, stir everything together. 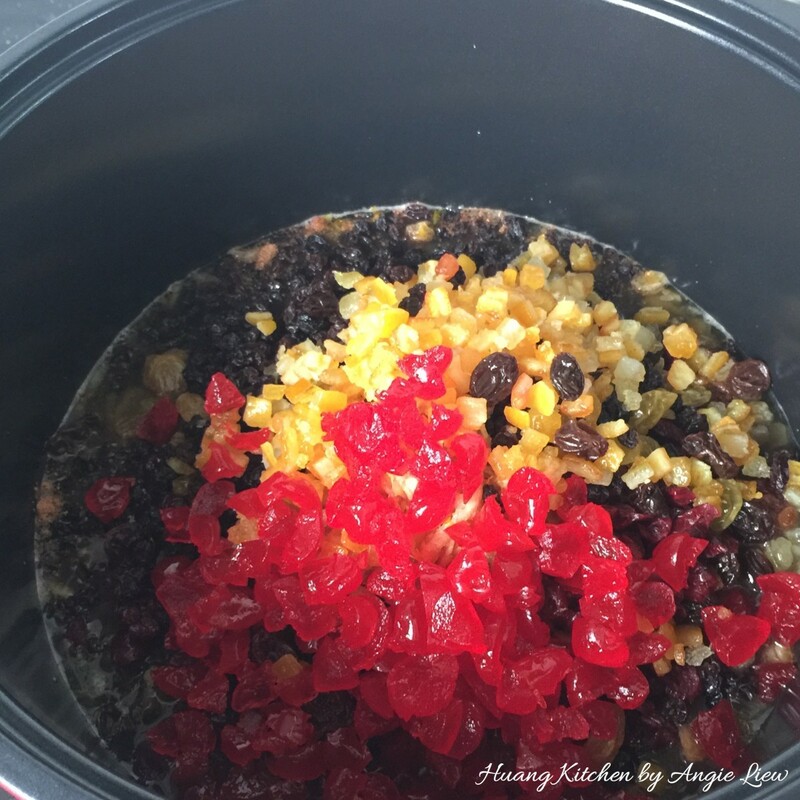 Bring the fruit mincemeat mixture up to a boil and make sure the butter has melted. 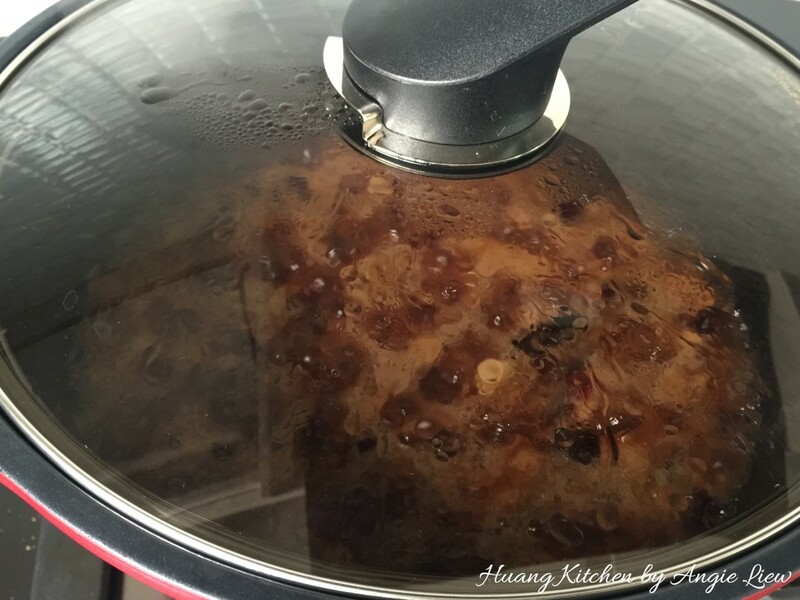 Cover, lower heat and let it simmer until most of the liquid has been absorbed into the fruits and the alcohol evaporated, about 30 minutes. Be sure to stir the mixture occasionally. 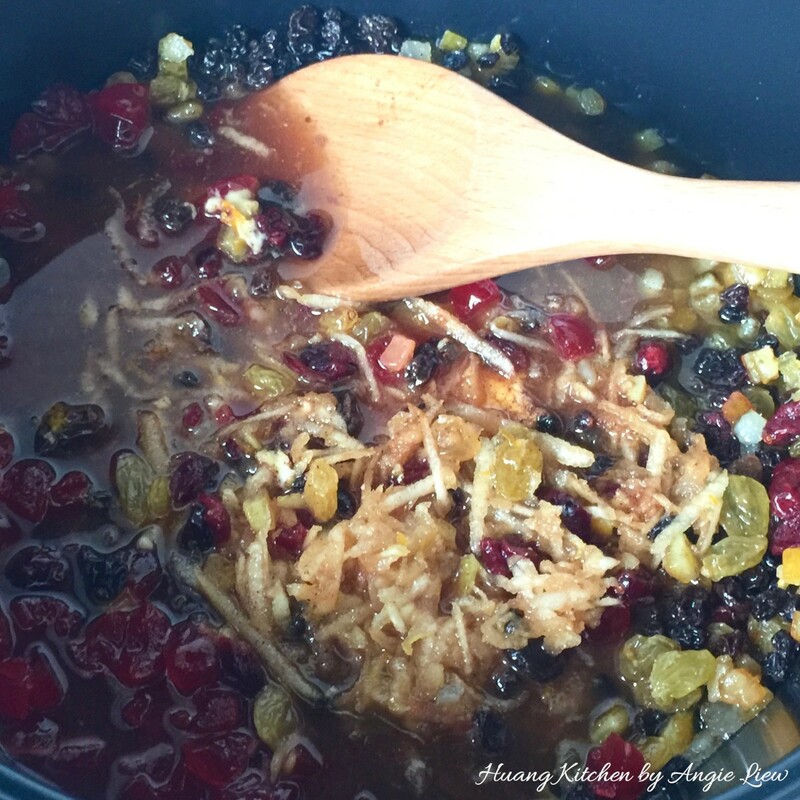 Transfer the fruit mincemeat to cool in a large bowl. 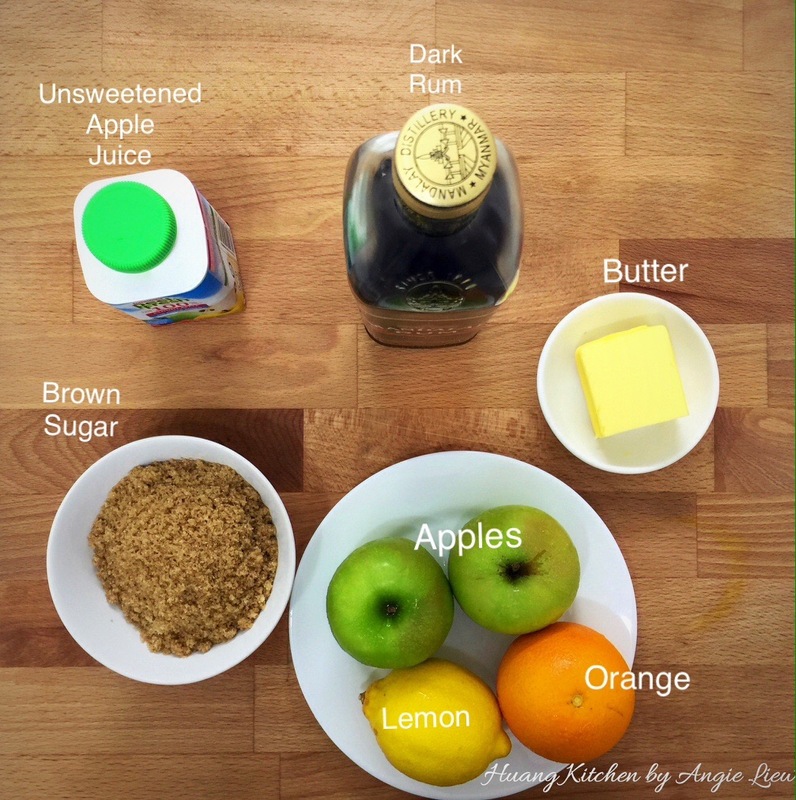 Then, add another 2 tablespoons rum/fruit juice into the fruit mincemeat before storing. This is to give it extra flavour. Once cooled, the fruit mince can be kept in a covered container and refrigerated until needed. 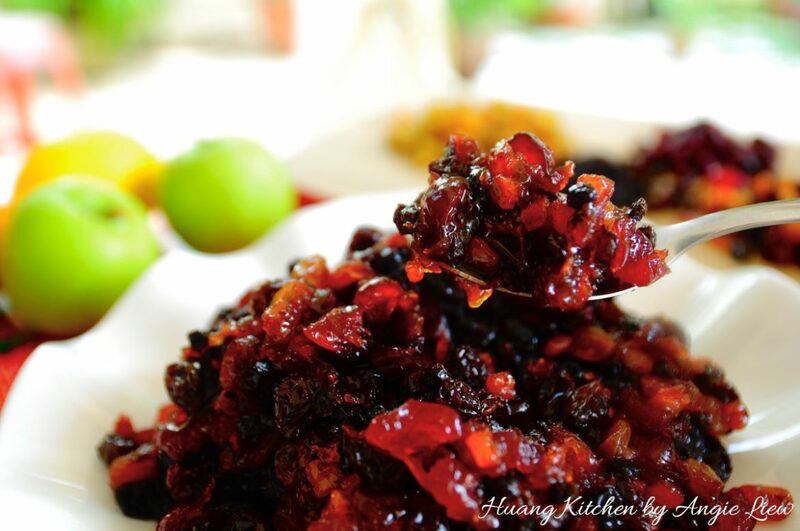 This well stewed fruit mincemeat is so good and it only gets better with age. As always, ENJOY! 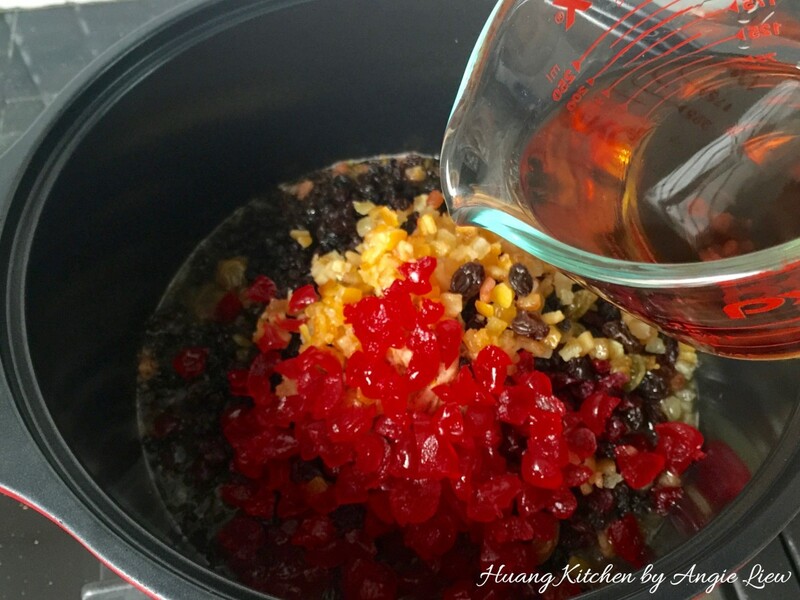 The alcohol in the rum helps to preserve the mincemeat. For those avoiding liquor, use pineapple juice flavoured with almond extract (to replace light rum) or molasses thinned with pineapple juice and flavoured with almond extract (to replace dark rum). 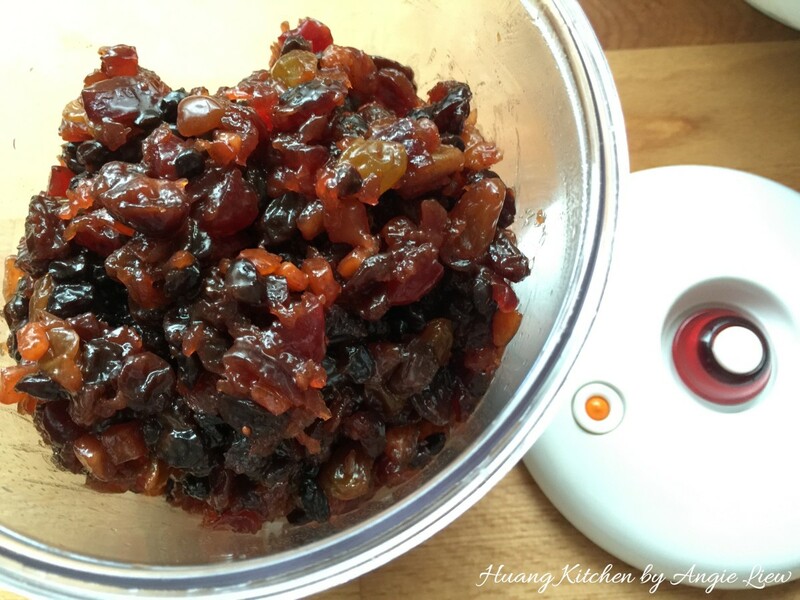 This fruit mince can be used the next day or stored refrigerated for up to a month. If kept refrigerated, occasionally add in some more rum or fruit juice to moisten the fruit mince (also further enhances the flavour).